Child 3 (aka the "Caboose") asked me "Daddy, what are you doing tomorrow?" I replied, earnestly and honestly "Nothing." Hearing what she wanted to hear, she began "Then lets go to..." as I cut her off. "Child," I said, "I don't think you understand what I said. Apparently, children don't believe that their parents could actually want to do nothing all Sunday. 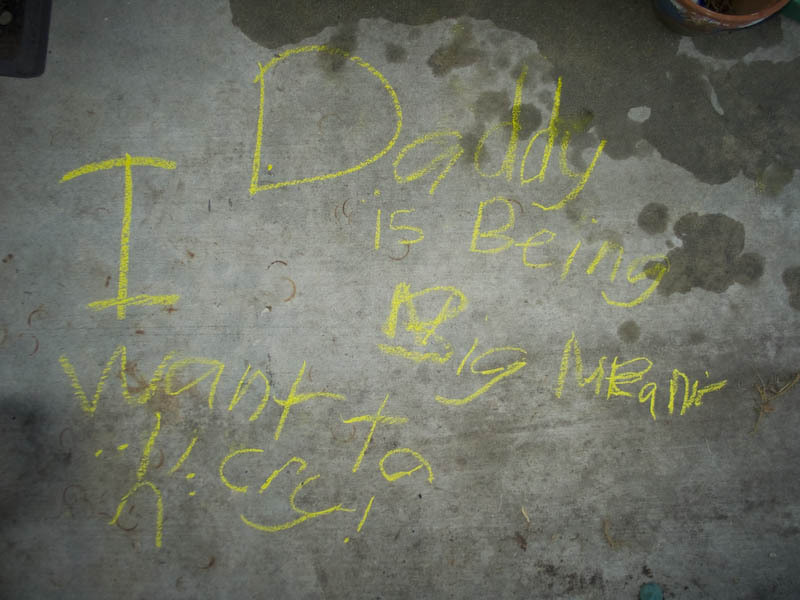 I found the note left on the patio this morning. She's so cute. I printed it out and left it on the fridge next to the other art projects (now Mrs. Bayou thinks I'm "being big meanie" too). 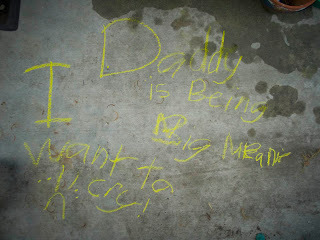 I'm left with one question regarding "Daddy is being big meanie". Am I "a" big meanie, or "the" big meanie?